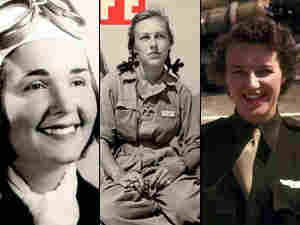 Female WWII Pilots: The Original Fly Girls About 1,100 young women flew military aircraft stateside during World War II as part of a program called Women Airforce Service Pilots — WASP for short. These civilian volunteers ferried and tested planes so male pilots could head to combat duty. The groundbreaking program lasted only two years and nearly fell through the cracks of history. In 1942, the United States was faced with a severe shortage of pilots, and leaders gambled on an experimental program to help fill the void: Train women to fly military aircraft so male pilots could be released for combat duty overseas. The group of female pilots was called the Women Airforce Service Pilots — WASP for short. In 1944, during the graduation ceremony for the last WASP training class, the commanding general of the U.S. Army Air Forces, Henry "Hap" Arnold, said that when the program started, he wasn't sure "whether a slip of a girl could fight the controls of a B-17 in heavy weather." "Now in 1944, it is on the record that women can fly as well as men," Arnold said. A few more than 1,100 young women, all civilian volunteers, flew almost every type of military aircraft — including the B-26 and B-29 bombers — as part of the WASP program. They ferried new planes long distances from factories to military bases and departure points across the country. They tested newly overhauled planes. And they towed targets to give ground and air gunners training shooting — with live ammunition. The WASP expected to become part of the military during their service. Instead, the program was canceled after just two years. They weren't granted military status until the 1970s. And now, 65 years after their service, they will receive the highest civilian honor given by the U.S. Congress. Last July, President Obama signed a bill awarding the WASP the Congressional Gold Medal. The ceremony will take place on Wednesday on Capitol Hill. Margaret Phelan Taylor grew up on a farm in Iowa. 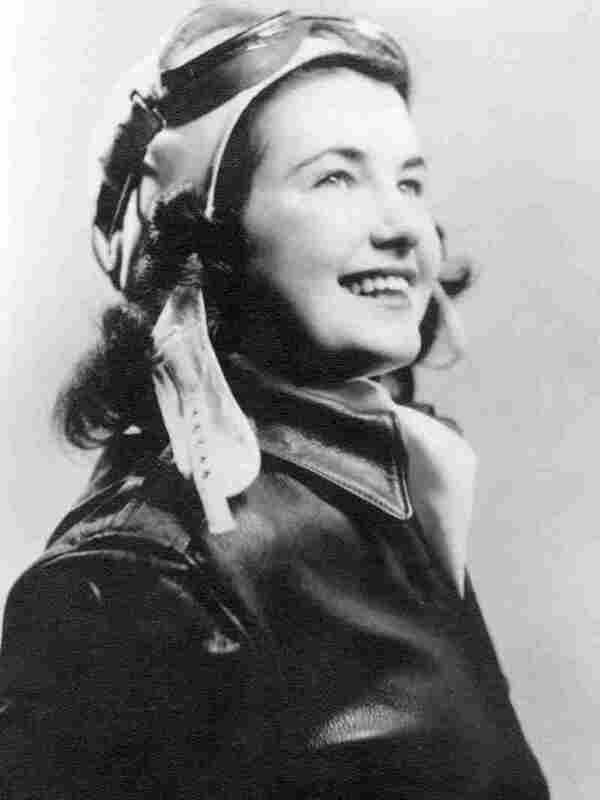 She was 19, had just completed two years of college and was ready for adventure in 1943 when a Life magazine cover story on the female pilots caught her eye. Her brother was training to be a pilot with the Army. Why not her? She asked her father to lend her money for a pilot's license — $500, a huge amount then. "I told him I had to do it," Taylor says. "And so he let me have the money. I don't think I ever did pay it back to him either." But there was a problem. She was half an inch shorter than the 5-foot-2-inch requirement. "I just stood on my tiptoes," she says. 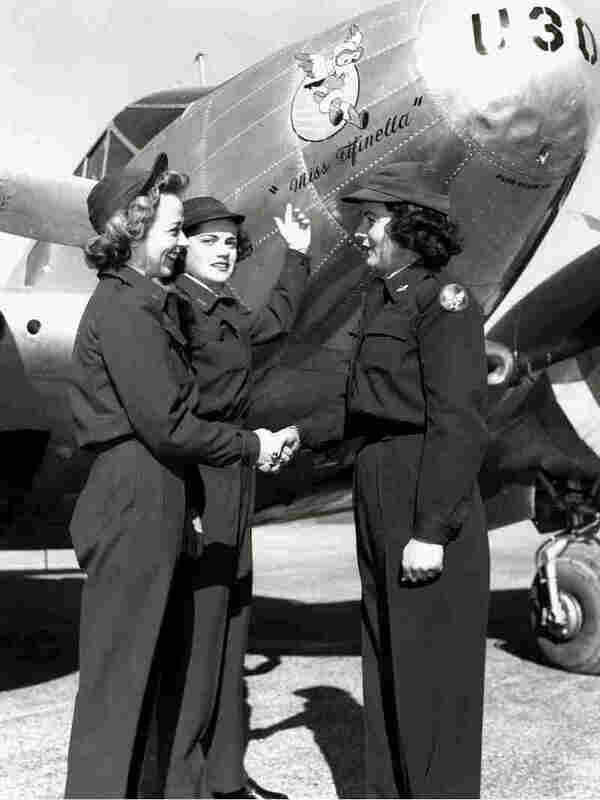 When she arrived at Avenger Field in Sweetwater, Texas, where most of the WASP were trained, "Well, there were a lot of other short ones just like me, and we laughed about how we got in." Short, tall, slim, wide, they all came in knowing how to fly. The military trained male pilots from scratch, but not the female civilian volunteers. "They didn't want to bring in a bunch of girls who didn't know how to fly an airplane," says Katherine Sharp Landdeck, associate professor of history at Texas Woman's University, who's writing a book about the WASP, tentatively called Against Prevailing Winds: The Women Airforce Service Pilots and American Society. "So you have women who are getting out of high school and taking every dime they had to learn how to fly so they could be a WASP." Once when Taylor was ferrying an aircraft cross-country, somewhere between Arizona and California, she saw smoke in the cockpit. Taylor was trained to bail out if anything went wrong. "But the parachutes were way too big. They weren't fitted to us," she says. "The force of that air and that speed and everything, why that just rips stuff off you. You'd slip right out." So her plane was smoking and Taylor faced a defining moment. "I thought, 'You know what? I'm not going until I see flame. When I see actual fire, why, then I'll jump.' "
Was she scared? "No. I was never scared. My husband used to say, 'It's pretty hard to scare you.' "
The plane's problem turned out to be a burned-out instrument. But 38 female pilots did lose their lives serving their country. One was 26-year-old Mabel Rawlinson from Kalamazoo, Mich.
"I've always known of her as the family hero," says Rawlinson's niece, Pam Pohly, who never knew her aunt. "The one we lost too soon, the one that everyone loved and wished were still around." I knew Mabel very well. We were both scheduled to check out on night flight in the A-24. My time preceded hers, but she offered to go first because I hadn't had dinner yet. We were in the dining room and heard the siren that indicated a crash. We ran out onto the field. We saw the front of her plane engulfed in fire, and we could hear Mabel screaming. It was a nightmare. It's believed that Rawlinson's hatch malfunctioned, and she couldn't get out. The other pilot was thrown from the plane and suffered serious injuries. Because Rawlinson was a civilian, the military was not required to pay for her funeral or pay for her remains to be sent home. So — and this is a common story — her fellow pilots pitched in. 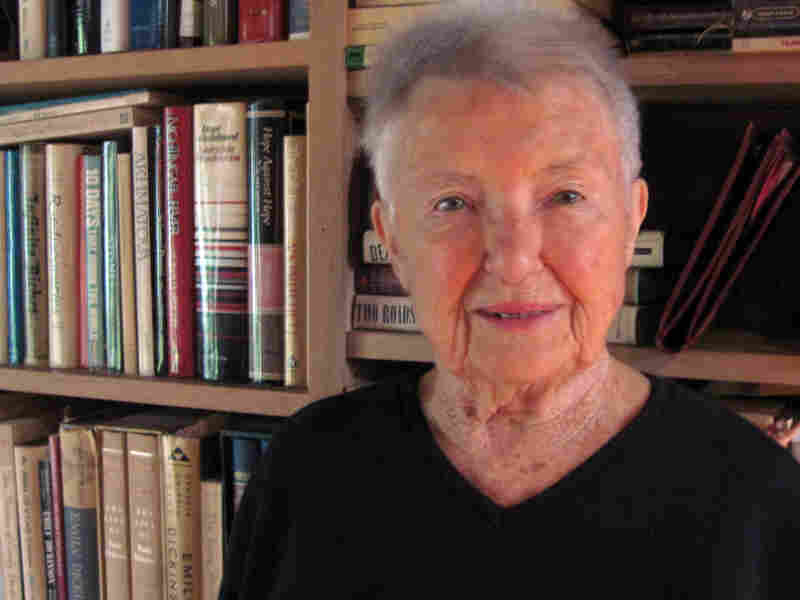 "They collected enough money to ship her remains home by train," says Pohly. "And a couple of her fellow WASP accompanied her casket." 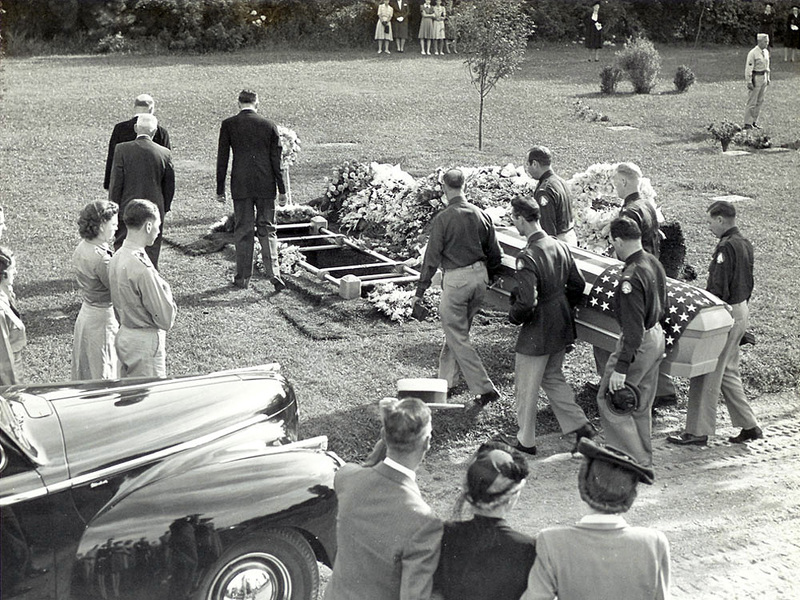 Even though she was considered a civilian, Mabel Rawlinson's family draped her coffin with a flag, a tradition reserved for members of the armed forces. Though the funeral appears lightly attended, many were lined up behind the photographer, as seen in the reflection of the car. And, because Rawlinson wasn't considered military, the American flag could not be draped over her coffin. Her family did it anyway. The head of the WASP program was Jacqueline Cochran, a pioneering aviator. (After the war, she became the first woman to break the sound barrier.) Cochran's goal was to train thousands of women to fly for the Army, not just a few dozen integrated into the men's program. She wanted a separate women's organization and believed militarization would follow if the program was a success. And it was. The women's safety records were comparable and sometimes even better than their male counterparts doing the same jobs. But in 1944, historian Landdeck says, the program came under threat. "It was a very controversial time for women flying aircraft. There was a debate about whether they were needed any longer," Landdeck says. By the summer of 1944, the war seemed to be ending. Flight training programs were closing down, which meant that male civilian instructors were losing their jobs. Fearing the draft and being put into the ground Army, they lobbied for the women's jobs. "It was unacceptable to have women replacing men. They could release men for duty — that was patriotic — but they couldn't replace men," Landdeck says. And so, Arnold announced the program would disband by December 1944, but those who were still in training could finish. The Lost Last Class, as it was dubbed, graduated, but served only 2 1/2 weeks before being sent home on Dec. 20, along with all the other WASP. 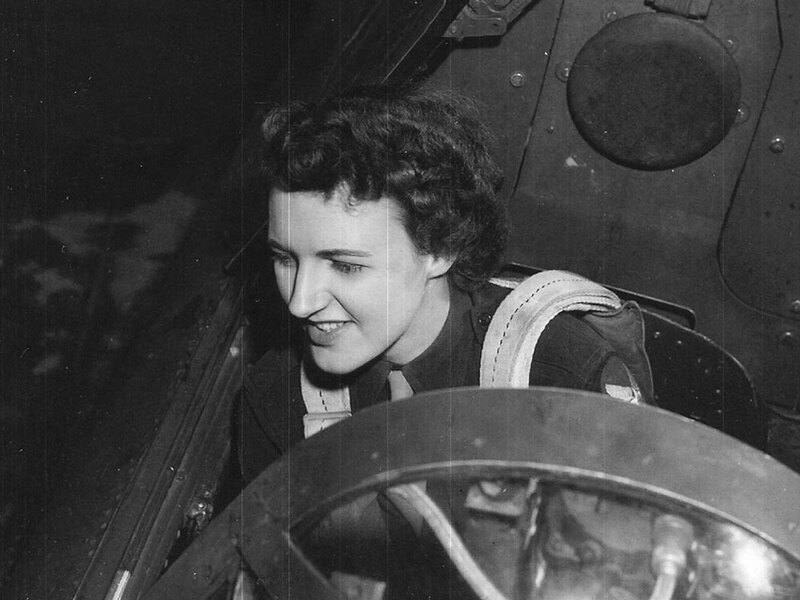 Lillian Yonally served her country for more than a year as a WASP. When she was dismissed from her base in California, there was no ceremony. "Not a darn thing. It was told to us that we would be leaving the base. And we hopped airplanes to get back home." Home for Yonally was across the country in Massachusetts. Lillian Yonally in a 1943 publicity photo at Camp Irwin in California. That was a familiar story, but Landdeck says there were some bases that did throw parties or had full reviews for their departing WASP. The women went on with their lives. A few of them got piloting jobs after the war, but not with any of the major airlines. And some of them stayed in the air as airline stewardesses. In those days, no major commercial airline would hire these experienced women as pilots. Like many World War II veterans, most WASP never talked about their experiences. And according to Taylor, they never expected anything either. "We were children of the Depression. It was root hog or die. You had to take care of yourself. Nobody owed us anything," she says. The WASP kept in touch for a while. They even formed a reunion group after the war. But that didn't last long. Then, in the 1960s, they began to find each other again. They had reunions. They started talking about pushing for military status. And then something happened in 1976 that riled the whole WASP's nest. "The Air Force comes out and says that they are going to admit women to their flying program," Landdeck says. An Air Force statement says "it's the first time that the Air Force has allowed women to fly their aircraft." Thirty years later, that comment still upsets former WASP Yonally. "It was impossible for anybody to say that. That wasn't true. We were the first ones," Yonally says. 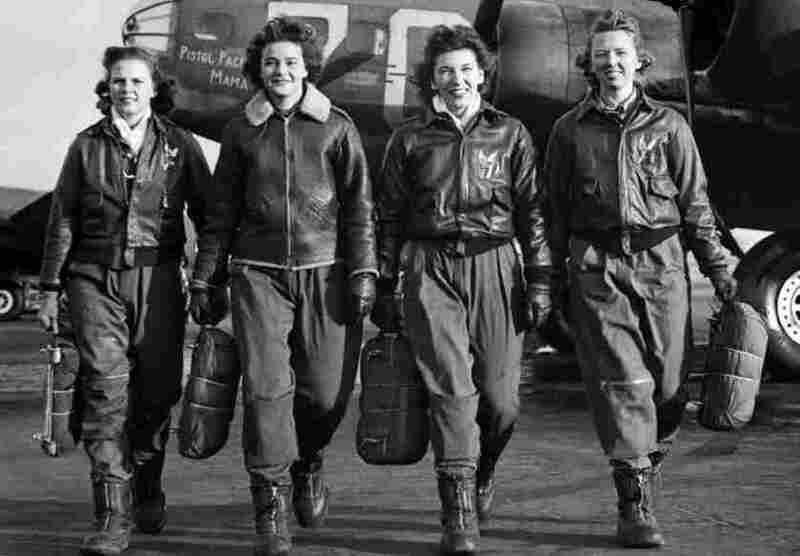 The fact that the WASP were forgotten by their own Air Force united the women. They lobbied Congress to be militarized. And they persuaded Sen. Barry Goldwater to help. He ferried planes during the war, just as the WASP did. And then, in 1977, the WASP were finally granted military status. Over the years it has been reported that the WASP records were sealed, stamped classified and unavailable to historians who wrote histories about WWII. According to archivists at the National Archives, military records containing reports about the WASP were treated no differently from other records from the war, which generally meant the WASP records weren't open to researchers for 30 years. But unlike other stories from the war, the WASP story was rarely told or reported until the 1970s. "It's hard to understand that they would be forgotten and difficult to believe that they would be left out of those histories. But even they forgot themselves for a while," Landdeck says. In 1992, to preserve their history, the WASP designated Texas Woman's University in Denton as their official archives. Yonally is proud to be honored with the Congressional Gold Medal, 65 years after her service, but she's sad that fewer than 300 of her 1,100 fellow WASP are alive to receive it. "I'm sorry that so many girls have passed on. It's nice the families will receive it, but it doesn't make up for the gals who knew what they did and weren't honored that way," Yonally says. Taylor is also excited about the medal. She served her country out of loyalty, she says. That was certainly part of it. But the other reason? "I did it for the fun. I was a young girl and everybody had left and it was wartime. You didn't want to get stuck in a hole in Iowa; you wanted to see what was going on." This story was produced for broadcast by Cindy Carpien.